STEAM stands for Science, Technology, Engineering, Art and Math. Our STEAM education seeks to empower students in grades K-8 to explore their sense of wonder and imagination to solve real-world problems. 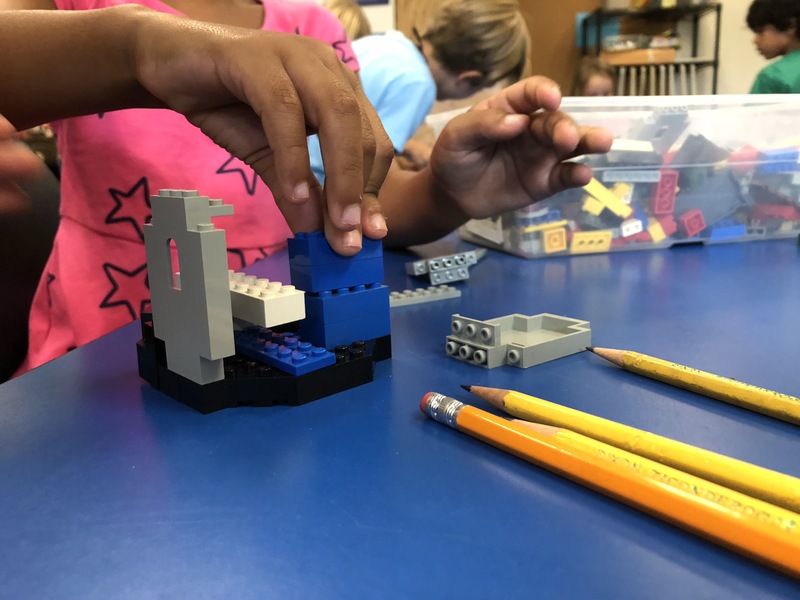 During STEAM experiences students will learn to investigate, design, plan, create, evaluate, and communicate their work to each other and the community. Physical Education (PE) is an important part of a comprehensive education program and contributes to the overall well being of students and the education of students as a whole. The Horizons Physical Education program will contribute to the overall development of the students’ physical and mental health, fundamental and advanced motor skills, self-confidence, goal-setting, leadership and cooperation, stress reduction, enhanced self-efficacy, and strengthened peer relationships. The Physical Education program will foster a positive, safe, and respectful learning environment, as well as incorporate activities that will include all students and meet the needs of each individual student at their various skill levels. Through focusing on these three learning domains, we are developing the students as a whole to achieve the ultimate goal of a physically active lifestyle. Teachers will provide content that is physically and socially challenging to the students in a way that encourages the students to be physically active and healthy individuals. The responsibility of this department is to provide our students with the necessary education and skills that they will need to be lifelong learners and movers. The 7th and 8th grade PE program includes more advanced demonstrations of movement concepts, principles, strategies, and tactics as they apply to learning and performing physical activities. Students learn the benefits of consistently participating in physical activity, making balanced nutrition choices, and the overall effects it can have for a healthy lifestyle. Students also gain a deeper understanding for responsible personal and social behavior that respects self and others in physical activity settings. 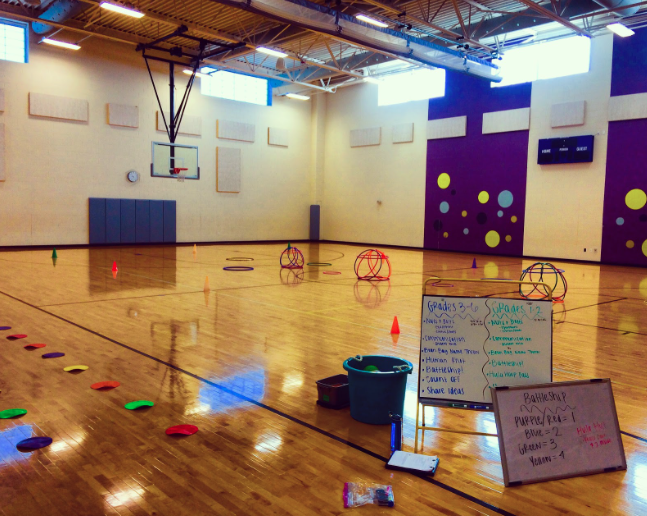 PE class includes new team building activities, new sports units, climbing, a fitness and nutrition unit complete with data tracking and goal setting, as well as active games that students enjoy. Arts education at Horizons K-8 is a joyful way to understand the world and self with greater complexity and sophistication. 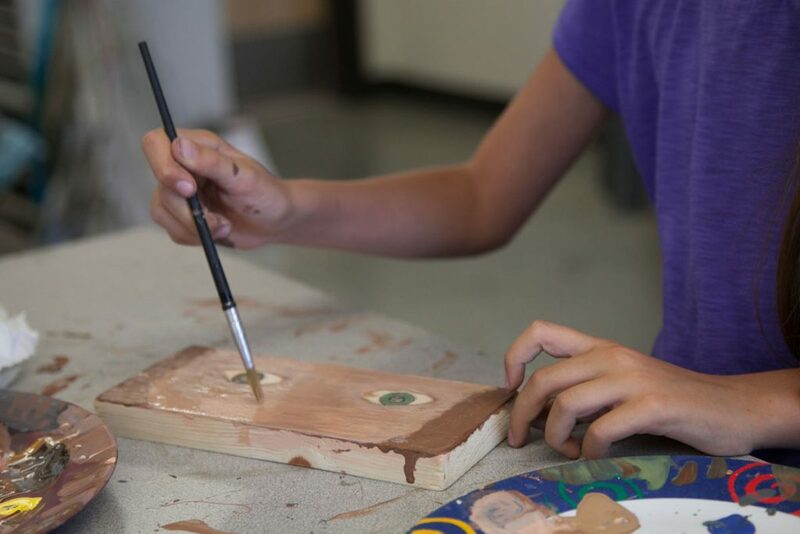 Through arts education, students develop their imaginations as they learn to communicate through complex symbols. They build expressiveness, creative skills, teamwork skills, and self-esteem while developing critical and abstract thinking, observation, innovation, analytical skills, and information retention. Through practice and experience, we can dive deeper into any art form and learn to express at an infinitely more profound level. The Spanish program at Horizons K-8 builds students’ bilingual skills while activating global competencies and a love of cultural exploration and understanding. Our K-5 elementary (and some of our 6th grade) students are exposed to foundational aspects of language and culture in a weekly Spanish class. Middle level students (6th-8th grade) advance in Spanish acquisition through daily Spanish programming. Spanish 1A at 6th grade includes a bridge from Spanish exposure at the elementary levels and moves towards more formal language acquisition. This is done through listening, speaking, singing, performing, analyzing video/films, reading and writing in Spanish and studying culture of the Spanish speaking world. A wide variety of teaching methodologies are used including Total Physical Response (TPR) and TPRS (TPR + Storytelling), Comprehensible Input and even more traditional forms of reading and writing when appropriate. Spanish at the 7/8 level is taught in a natural approach to language acquisition through comprehensible input. Comprehensible input is language that students can understand and make meaning of either by listening or reading, at a level that is just above automatic, allowing them to advance in proficiency in the language acquisition process. This happens through creating and reading stories, listening to and singing songs, watching videos, reading leveled chapter books, and more.